I haven't be on here for a while with an illness so I hope you still remember me? I love this, the colours and papers are fab. That image is super cute, I have two boys so i'm quite used to that expression. Lol! Thank you for sharing this download, I can't wait to use it. Aahhh! Bless him! I tend to not always be in control of my mouth, so I may need a few! I know I tell you regularly, but you are so talented! 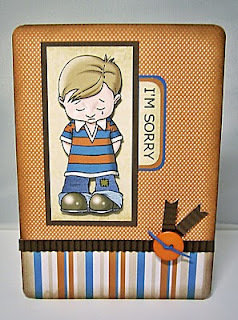 Wow what a fab card the image is adorable and i love the colours and details. I have just found your blog from pops showing this Adorable little boy!!!! Your images are beautiful, you are so talented :)! oh thanks just found you via another blog. I am now a follower. Thanks keep up the good work. Great card Vince, how could you not forgive a face like that. He looks so sorry. Thank you for the freebie. Vince this is just one gorgeous card and what an adorable image! You can put you foot in it with me anytime so long as I receive a card like this lol. 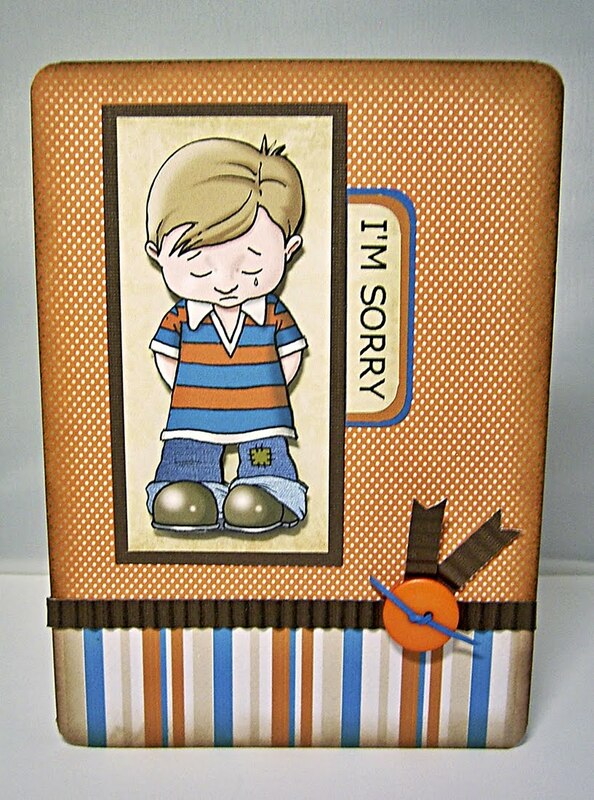 That is a great card I just love the we boy image.